Hello, this is my first post to the forum. I'm selling my amp and cabinet. I'd like to offer it here first before craigslist and Reverb. : The amp chassis is 2275-130, serial number B005096. 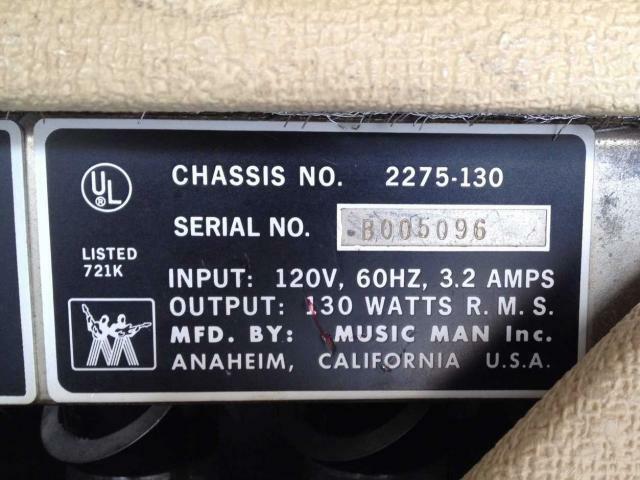 The speaker cabinet serial number is S01223. It has square-back Eminence speakers from 1975 (stamped on the back is 12GPGN8F, 67-7532). It’s a 4 ohm cabinet. 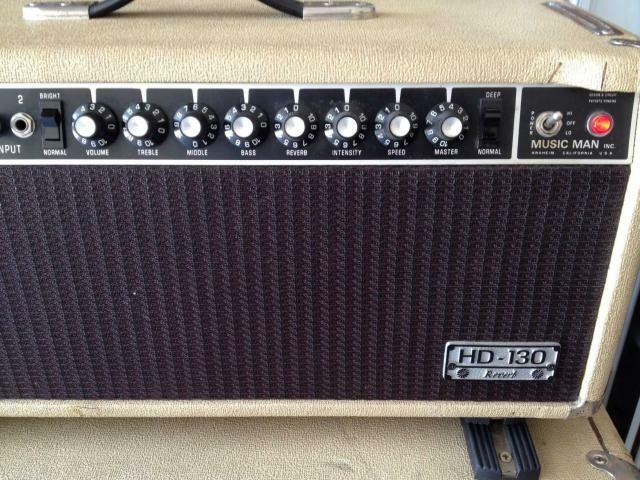 The amp is in excellent condition operationally and in good+ condition cosmetically. It has one 12AX7 phase inverter tube and four 6CA7 (EL-34) power tubes. I've had it serviced by Bill Webb at Austin Vintage Guitar. I have receipts for those services. It includes the original reverb and tremolo footswitch. The speaker cabinet is in excellent condition operationally and in fair- condition cosmetically. The tolex is peeling off at edges and at the port, but that has not gotten any worse during my ownership. The construction remains solid; there is no flexing or rattling. I'm asking $650 for the amp and $250 for the cab. I don't plan to ship them. I live in central Texas and would be willing to drive a fair distance for a sale. I have more pictures, but I'm having trouble posting them. I know it doesn't matter, but someone always asks, "Why are you selling it?" I play electric bass and have several amps. But now I'm learning the double bass, and that requires different equipment and lessons. So the MM gear will help fund that.